The research that I conducted during my PhD investigated aspects of diagram accessibility when using sound as the only means of interaction. 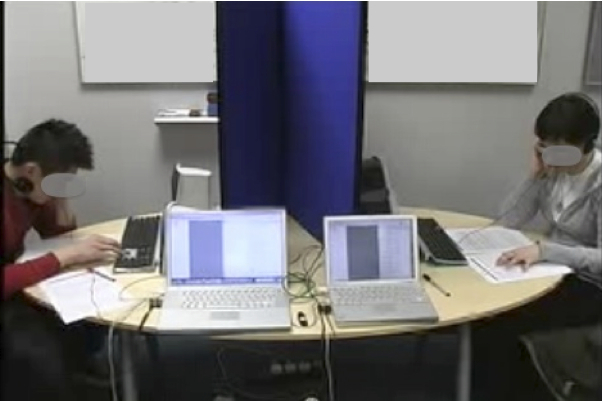 The research aimed to empirically explore the potential of using auditory display for accessing and manipulating graphically represented information, in both individual and collaborative usage scenarios. In other (simpler) words, I looked into how diagrams can be transformed from visual to auditory artefacts, how audio can be used to access and manipulate diagrams; how interaction with diagrams (inspecting, constructing, editing) can be supported through audio-only interfaces, and how the dynamics of collaboration are affected when groups of people work together on auditory diagrams. I asked and worked on answering questions such as; What might a graph or a diagram sound like? How do we hear – and learn to listen – a diagram? How do we work together on diagrams when we can only hear each other?